South Africans’ appetite for chicken is at an all-time high. The country’s poultry industry is today worth more than R27 billion a year, and continues to grow rapidly. More than one billion broilers are slaughtered per year and average per capita consumption of chicken meat is currently more than 33kg. These figures help to explain why there are so many opportunities in the industry today. And the really good news for a small- and medium-scale producer is that he/she can also profit from this burgeoning demand by starting his/her own poultry business, and earn a sustainable and growing income. The facts speak for themselves. Although at first glance the industry might seem to be dominated by large-scale producers, as many as 25% of all broiler chickens supplied to the market are produced by small- and medium-scale growers. This means that these suppliers have a market share currently worth more than R6 billion a year. If you’re a small-scale producer and interested in starting your own poultry business, it’s important to decide which sector of the industry you want to serve. This will determine how you go about setting up a business and making money. One option is to hatch and sell day-old chicks to the big producers. This means that you are only involved at the first stage and are not concerned with growing the chicks at all. A second option is to buy day-old chicks yourself and grow them, selling them as fully-grown chickens. Another option is to become involved in the entire process, including slaughtering. Many new businesses require a large capital outlay, which is not within reach of most people. A typical business also takes a long time to produce a return on your investment. By contrast, a small-scale poultry business has a relatively low start-up cost and rapid returns. You can begin with as little as R20 000 and get a 100% return on your capital investment within six months. And because chicks take only 21 days to hatch, you can start generating an income just three weeks after starting. No other business can provide such a quick turnaround. If you intend producing day-old chicks, you’ll need incubators to start a hatchery. Selling day-old chicks will provide you with the fastest method of generating an income, as you’ll be supplying chicks weekly. You’ll also be able to get a good profit margin, because there is no need to feed the chicks. They are off your hands when they’re only a day old. Selling day-old chicks will provide you with the fastest method of generating an income, as you’ll be supplying chicks weekly. An alternative is to buy day-old chicks and grow them to six weeks, then sell them either as live or slaughtered birds. With this model, you’ll need to take into account factors such as feed, medicine and the facilities required. 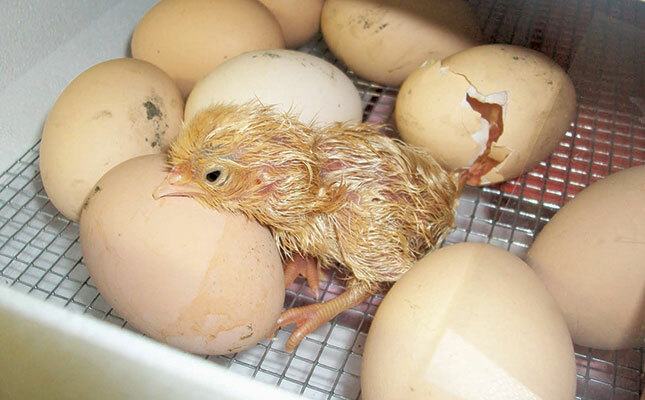 New technology has enabled small-scale producers to hatch day-old chicks relatively easily. You’ll also have to find a suitable market for your chickens; in fact, this should be done before you even start. Most entrepreneurs prefer to produce day-old chicks and sell them to growers, as this option is easier and less risky. The choice, however, is up to you. At the heart of these opportunities is new technology that allows small-scale farmers to produce day-old chicks or fully grown chickens competitively. A profitable chicken business is no longer limited to big companies. Content provided by Surehatch. Visit www.surehatch.co.za for more information.